Do you know that the #1 excuse for not working out is “I don’t have time”? The second is that you’re not in love with your workout. Well, guess what? I just made some time for you to sweat AND enjoy every second of it. In fact, you will wake up jumping out of bed WAITING to do your workouts everyday because they will make you FEEL SO GOOD. I am going to show you how to get the fat burning benefits of what a normal person can achieve in a whole hour…in just 28 min and 40 sec a day. No joke! These are the workouts that I personally do. I designed PIIT28 for myself when I was traveling too much and was getting unmotivated and frustrated every time the gym was closed, too far, too full…or there wasn’t a gym at all! So I challenged myself to find a way to make my body sweat and get stronger using little time, NO EQUIPMENT and barely any space. And that is how PIIT28 came to be. It stands for PILATES INTENSE INTERVAL TRAINING and takes only 28 min and 40 sec a day. Combining the best core strengthening exercises from my format POP Pilates® with the most intense cardio elements of HIIT, PIIT28 has gotten me FITTER, FASTER. You will be sweating in the first 7 minutes and then you’ll be done in under half an hour. Your workout consists of unique moves that will each be performed for only 45 seconds. You will be hitting your maximal effort each time you finish a move, this turning you into a FAT BURNING MACHINE during the workout and for hours and hours after you’re done. 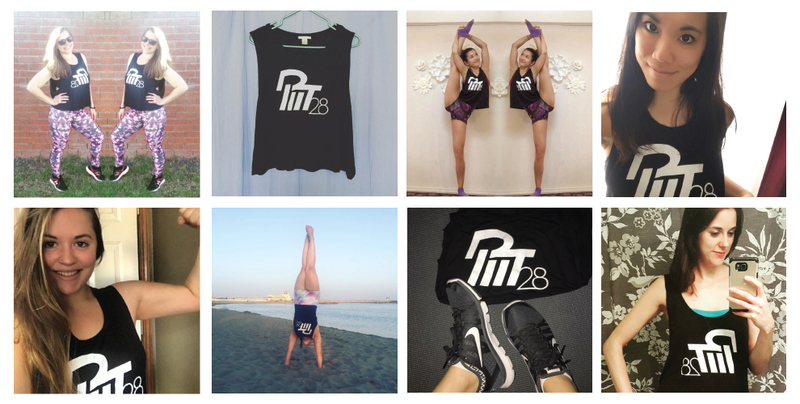 Show me how dedicated you are and I will reward you with the PIIT28 Completion Top which can only be EARNED (never bought) for completing all 28 days of the #PIITSTAGRAM Challenge. As you can see, I am SERIOUS about you sticking to the program because I will do whatever it takes to see you succeed. What do you get in the PIIT28 Power Pack? PIIT28 1.0 e-book + workout videos - the foundation of the program. We will build strength physically and mentally. You must complete this to graduate to the next level. 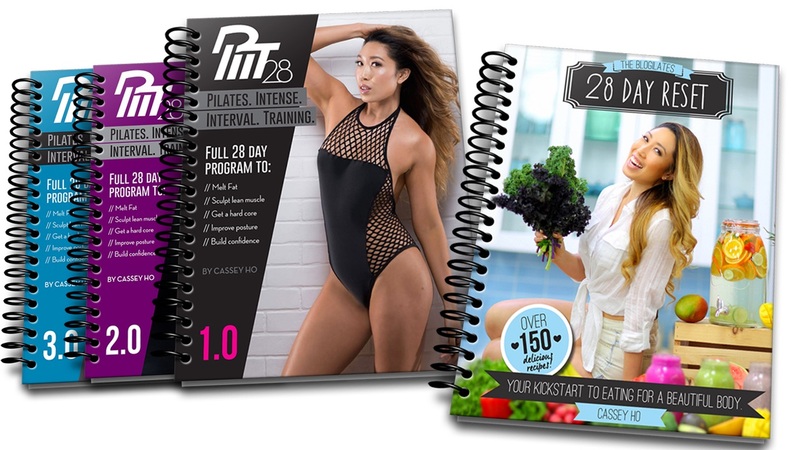 PIIT28 2.0 e-book + workout videos - using the skills you learned in the 1.0 workouts, 2.0 will challenge your body with new exercises to build endurance. PIIT28 3.0 e-book + workout videos - working with your new body, 3.0 is all about unlocking your inner power. Innovative moves and challenging combos will keep your muscles surprised so that caloric burn remains high. BONUS! The PIIT28 "GET FLEXY" Supplemental Guide which includes your daily Warm Up and Flexibility Training routines. Note that these are all digital downloads and no physical books will be mailed. You get all of the above in the PIIT28 Power Pack for only $79! That 6 months of body-transforming training material for the price of one 1-hr mediocre personal training session. Plus you get lifetime access to to the videos and e-books. If you follow the PIIT28 Program as I have specifically planned for you, you will sculpt your strongest, fittest body while having fun. The 28 days will go by fast, and you will get addicted to the results as well as how GOOD you will feel! If you would like to intensify your results, we need to look at your nutrition too. The way you fuel your body will determine how you perform throughout your PIIT28 workouts, thus affecting your ultimate physique. 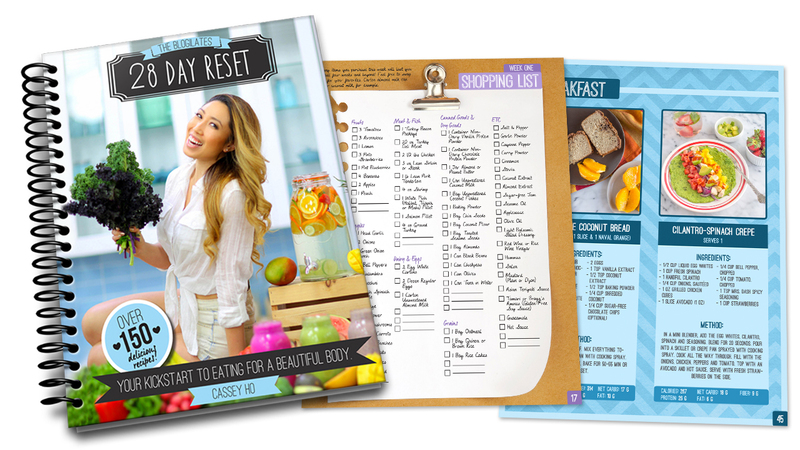 That is why I created The 28 Day Reset, my ultimate nutritional guide and comprehensive cookbook to help you tackle stubborn fat, bloating, acne, and with a focus on increasing your energy levels. My guide contains over 150+ clean eating recipes that I developed alongside trained chefs and nutrition coaches to ensure that these meals are DELICIOUS and nutritiously dense. So for just twenty bucks more than the Power Pack...you get the Reset. THAT IS A STEAL! And my veggie-lover friends, fear not - you can get the $99 Transformation Pack deal with the Vegan 28 Day Reset too! Click here. Please note that all purchases for digital downloads made on www.piit28.com are non-refundable and non-exchangeable. These are all digital products that you can download. Be advised that no physical books will be mailed. The full workout plan. PIIT28 1.0, 2.0, and 3.0.